Translators took out the name of " " from the Quran and replaced it with their own fake and false names. Therefore, Do Not Read translator's "Taffseer". 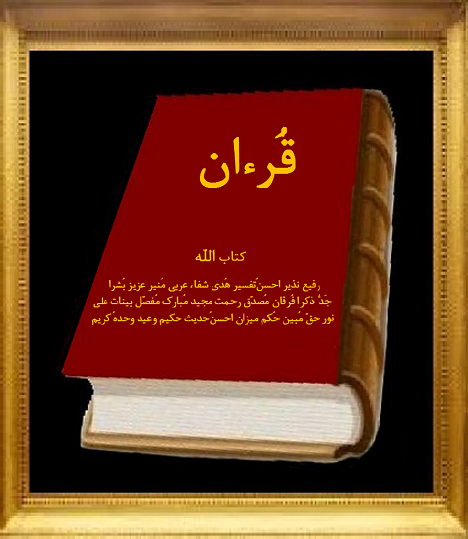 Do not be the slaves of Translations, they are only to deviate you from the Excellent literary composition of the Quran, and it's Perfect Poetry, plus it's hidden knowledge called "Hikmah" and true words of Allah, otherwise you would be a "Moshrik" by reading a book other than "The Book of Allah"
Before reading the Arabic Quran, we should seek refuge in Allah from the rejected devil (16:98). (Remember we are not talking about translations of the Quran which was revealed by translators, yet we are only talking about the Arabic Quran revealed by ALLAH). Then Sura (9) "Beraah" does not have any "From Allah the Rahman the Rahim", simply because it is NOT just from Allah but, from "From Allah and His messenger". As we read in the first verse (9:1).